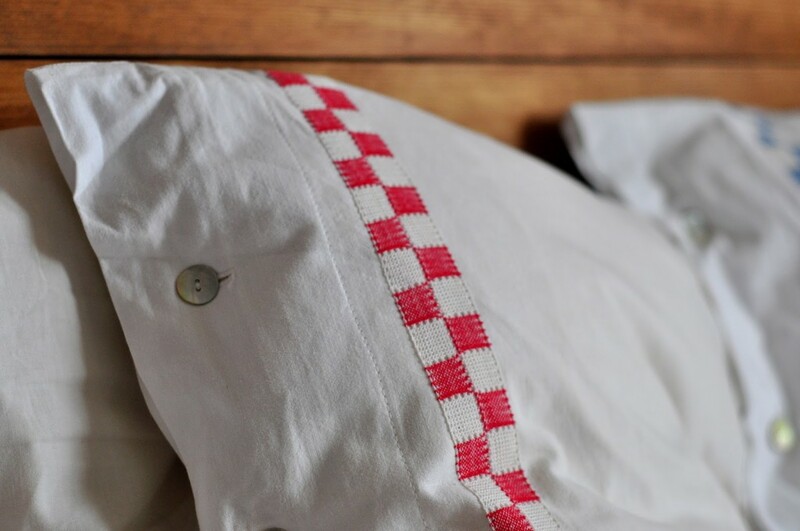 I have a very strong nostalgic relationship to vintage linen sheets. The crisp, cold feeling against my skin reminds me of childhood sleepovers at my grandparents. I don’t think they ever switched to duvets, it was always fold over sheets under the bed quilt, and the edge of the sheets were decorated with insert lace and monogrammed. A. The vintage mattress sheets are too short for modern beds and don’t stay put. 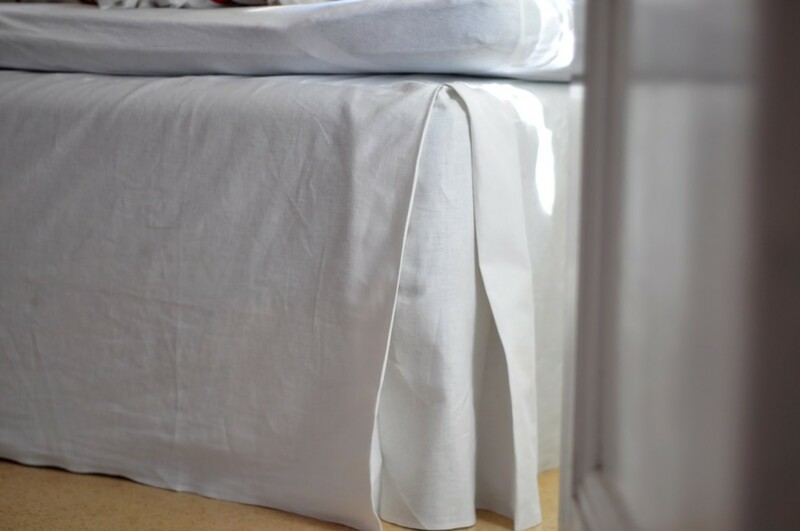 For me the best option is pull on sheets with elastic that keeps them in place. B: I really prefer duvets over sheets since duvets keep the quilt in place (well most of the time anyway). 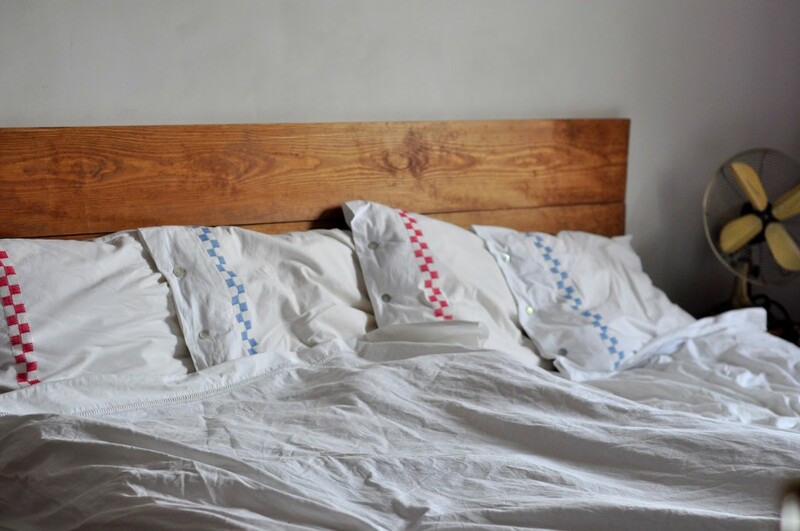 Then somehow earlier this year it all came to me in a stroke of lightning – why not take vintage sheets, sew them together and make duvets? And in the process make some pillowcases too. So I prowled a few vintage stores and managed to amass five sheets for about $40. 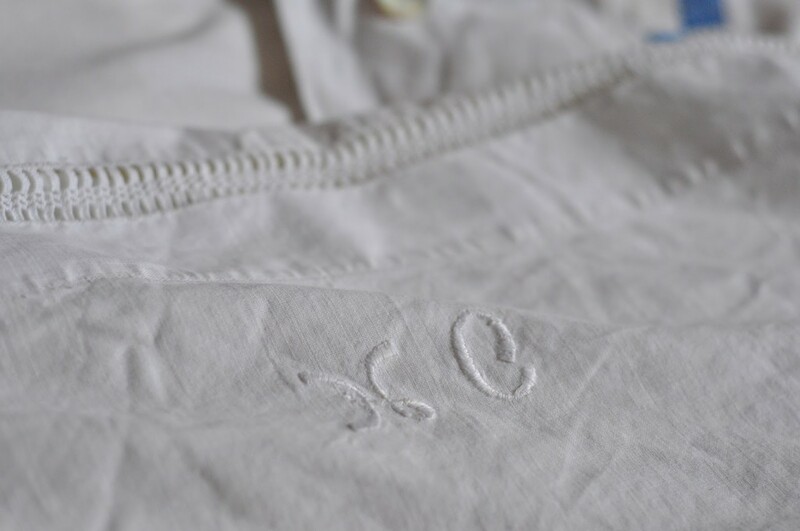 I washed them in one of those “back to white” washes to get rid of the yellow tint and began sewing. For the duvets I just sewed together two sheets, and left openings in the bottom and on the sides for pulling the quilt through. As for decoration I kept the original lace. 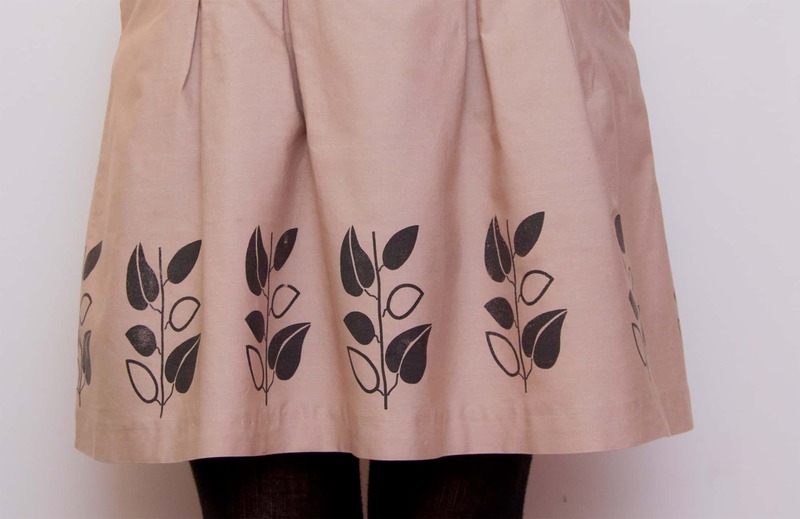 I made a a bed skirt too, but for that I cheated a bit and used a new cotton/linen fabric for the side pieces (the top fabric is a big vintage sheet though). This, I think hands down is my best recycling project ever. Pretty simple, yet so rewarding and made to last. I feel like I can see the difference in vintage linens just from your pictures – they look so thick and crisp. What a lovely project. Is linen bedding unique to nordic and northeastern Europe? I've never – ever! – come across it or even heard of it before. What a lesson you've given us. Do linen sheets wrinkle terribly? Do you use them even in winter? Great, very informative post, thank you!